Tribal tourism certainly brings in money to the tourism department’s exchequer. This is an incentive strong enough to encourage a country to promote tribal tourism and get a shot of rejuvenation in its economy.However, tribal tourism is a darn sensitive issue. Its promotion is a challenging task for a country. Tribal folks are after all human beings like you and me, and sometimes even better in some respects. They are not objects of crude display to the civilized world like caged animals confined in a zoo or a menagerie. The aborigines occupy a sensitive position in the continent of Australia. They are the original sons of the soil.However, it is embarrassing that over the past, the undercurrent of racism has created a rift between aboriginals and thenation controlled chiefly by whites.But the times have changed and the Aussie aboriginals have been pressing hard reclaiming their rights. The Australian government has been promoting tribal tourism with reference to the Aboriginals who are mentioned with respect. Organizing a trip for the tourist to visit Aboriginal settlements just like organizing a trip into a wildlife sanctuary to witness the animals is plainly unthinkable. Aboriginal tourism promotion efforts in Australia are never dehumanizing.There is always a marketing endeavor to showcase high quality tribal art,entire galleries and custom built museums full of artifacts, boomerangs of different sizes and shapes,tribal watercolor landscapes,Didgeridoo music,literature, their indigenous philosophy, dream world, languages and their rich cultural heritage. Dedicated websites are developed, and Aboriginal Australia information and updates are spread to different countries across the world to invite foreign tourists and overseas investments. New Zealand has taken a thorough promotional drive for showcasing the rich culture and skill sets of the Maoris,the indigenous people of this island paradise.The Maori culture has become an inseparable part of the current civilization. The tourism department of NewZealand is taking pride in highlighting the fact for a bumper tourist draw. The tourists visiting NewZealand are offered a rare chance of tasting varied Maori culture and color. Legendary destinations like Rotoruaare included in the tour itinerary where in fact Maori cultural tourism started as early as in the 19th Century.The concept of Marae is explained to the tourists by the experienced guides thorough on Maori customs.Marae is the Maori family that forms the nucleus of the society. The concept is so well marketed that the tourists find the idea very appealing. Traditionally, the Maoris are excellent weavers, skillfulartisans and amazing woodsculptors. The New Zealand tribal tourism promotion council emphasizes these facts. Tourists are presented with opportunities of buying Maori crafts and woven drapery. Maori traditions and their belief system get well promotional hype and the fact that they are great warriors, gardeners and hunters are all conveyed to the outside tourists to promote the positive traits in Maori character. One more unique feature about Maori character that is highlighted in tribal tourism promotional effort is the fact that Maoris are gifted storytellers. Stories and fables pass down the generation by the words of mouth. 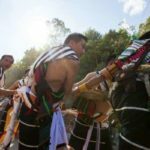 Indian government is doing best to promote tribal tourism among tourists pouring in from within the country and abroad as well.In a land of diverse cultures, there are around 570 ethnic tribes scattered over India in 4 distinct zones, namely in the West covering states of Gujarat and Rajasthan, in the Centre covering states of Madhya Pradesh,Chhattisgarh, and Jharkhand, in the East mainly in Odisha and northern Andhra Pradesh and in the North Eastern 7 sister states. The tourism department has launched a marketing strategy for advertising tribal tourism through showcasing the high degree of artistic excellence exhibited by the tribes in giving a vibrant shape to crafts, textiles, embroidery, and sculpture and indigenously designed exquisite jewelry. Besides, the departments also bring before the tourists myriad tribal religious festivals,rituals,folk dances and music. Dedicated websites exist displaying the marvel to the outside world.Exquisite bamboo crafts from Santhals of Jharkhand and tribes of North Eastern India are familiar pieces that draw tourists from abroad. There are tribal museums and sales outlets. Pithora hut paintings by the Rathwa tribe of Rajasthan are a treat to your eyes.Since the tribal pockets are usually located in the fringes of forests far away from civilization, sometimes tribal and wildlife tourism are combined to trigger an added appeal. The Kenyan tourism board promotes tribal tourism in a unique way combining it with wildlife tourism. Ethnic tribes like the Masais,the Bantus and the Kikuyus display indigenous cultures and colorful folk dances which are showcased to pull tourists from far and wide. The Masais are a tall warrior race having a strong inclination towards hunting lions. This is a powerful temptation for the tourists to visit the Masailand, and the information is much hyped by the media.However, disputes between the government and Masai tribesmen centering around ownership of open cattle grazing land shows its ugly face in the backdrop of efforts on tribal tourism promotion. The Dayaks of Borneo is a primitive ethnic tribe that dwells in the equatorial rain forests. The scenery is wonderful, and you will get tons of thrill sailing across rivers that cut through Dayak land. 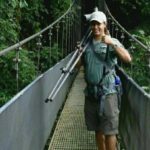 The government has organized staying arrangements, forest treks and deep forest cruises with an opportunity to view the Dayaks and their culture from close quarters. The spirit of high adventure can be literally felt. Cozy jungle lodges are built to give you the kind of comfort you were looking for. 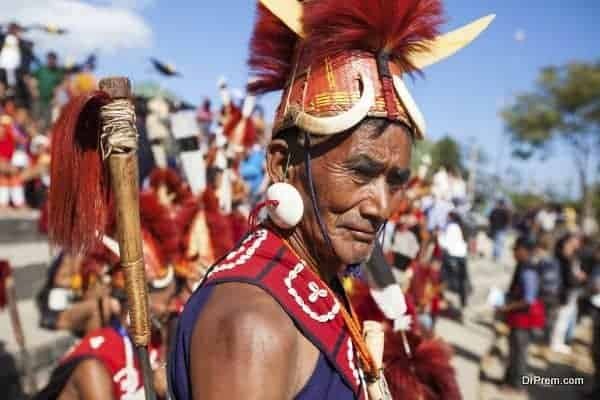 The number of primitive Indian tribes inhabiting the Amazon is wealth of Brazil encouraging tribal tourism. Their indigenous culture marketed for the world to see. Even during soccer world cup large cut out of Indian tribesman with a friendly smile is displayed in a welcome gesture for the world to attend the world cup. However, behind a merry facade tussle over land occupation rights between sugarcane growers and the local tribesman continues. Myanmar had its doors closed to the outside world until very recently. However, realizing its tourism potential revolving around various ethnic tribes spread over this beautiful country Myanmar has been doing well to promote tribal tourism. Upgradation of infrastructure and setting up good accommodation are underway. As is the tribal craftsmanship promoted over internet stunning the world looking at the bewitching beauty of the land and its indigenous people with appreciative eyes.